Hugh Goodfellow leads the life sciences team at Carpmaels & Ransford. He spends much of his time overseeing teams of attorneys who assist innovator companies in protecting their commercial products. Accordingly, he has a large prosecution practice and is a regular visitor to the European Patent Office (EPO), handling many oppositions and appeals. With so many projects running in parallel between the EPO and national litigation, he also forms a cornerstone of Carpmaels’ dispute resolution practice, acting as a strategic link between these two coordinated systems. 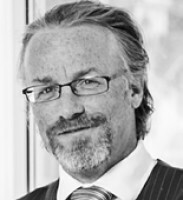 He has extensive experience of patent prosecution in countries outside Europe and has pan-European expertise in the filing and prosecution of supplementary protection certificates nationally, as well as considerable experience and success before the European Court of Justice, including the widely cited Queensland (C-630/10) and Neurim (C-130/11) referrals. Mr Goodfellow has an extensive practice, with clients ranging from large and long-established global companies (eg, Janssen Biotech, Janssen Sciences, Shire, Gilead, Celgene, Regeneron and Vertex) to European biotech companies (eg, Akari, Hubrecht Institute, Gene Bridges and Tigenix). During his career, he has been responsible for establishing the filing strategy and generating IP portfolios for a number of start-ups, guiding some of these clients all the way from early conception through financing rounds and subsequent public flotation. He is particularly focused on biologics – in particular, therapeutic antibodies, complex immunology, biosimilars and stem cells. Collectively, these experiences have developed Mr Goodfellow’s ability to protect foundation intellectual property consistently and successfully and forecast potential future problems from the viewpoint of both IP generation and freedom to operate. Mr Goodfellow received his BA (honours) in biochemistry and his MA and DPhil from Oxford University. His experience at the bench was spent investigating mechanisms of drug resistance in cancer cells.